NOTE: RGB REMOTE AND ADOPTER IS INCLUDED WITH RGB STRIP. 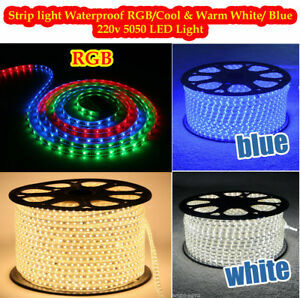 LED STRIP 220 V - 240V / 5050 SMD Power lead and Rectifier. RGB COLOUR STIP. COOL WHITE/WARM WHITE AND CLUE ARE MONO COLOURS THUS NO REMOTE IS APPLICABLE HOWEVER ADAPTOR IS PROVIDED FREE OF COST REGARDLESS OF LENGTH BOUGHT.